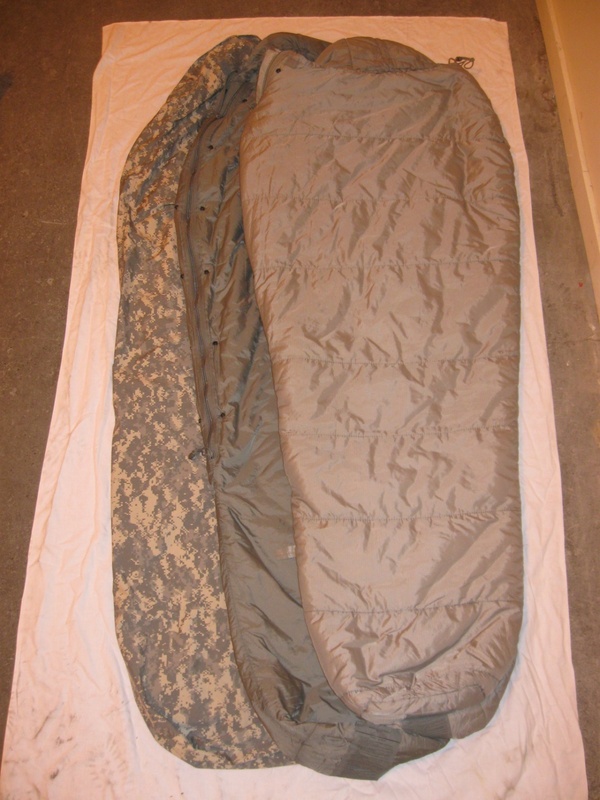 The Modular Sleep System (MSS or Modular Sleeping Bag System, MSBS) is designed to insulate the user in environments ranging from mild weather to extreme cold weather. The patrol and ICW bags are used separately, or together, by inserting the ICW bag within the patrol bag, attached by using snap fasteners, to form an extreme cold weather (ECW) sleeping bag system. 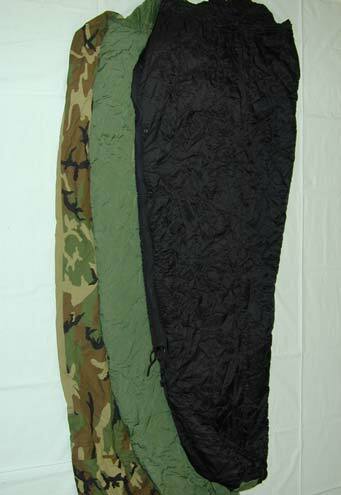 The ECW bag configuration provides insulation to at least -30°F for a user dressed in polypropylene expedition weight undershirt and drawers and standard cushion sole socks, and to -50°F for a user wearing various layers of ECW clothing. The stuff sack, when packed with sleeping bags, is capable of being compressed to one cubic foot and fits in the sleeping bag compartment of the large field pack with internal frame. Each bag, either independently or joined together, is compatible with the bivy cover.